Apple manufacturing: Macs will be made in USA, Tim Cook says in interview. 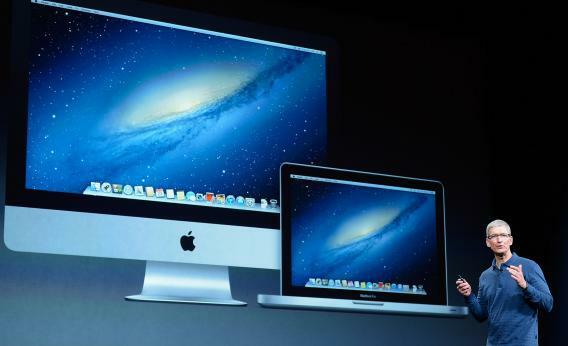 Tim Cook says Apple will move manufacturing of at least one line of Macs to the United States starting in 2013. In a pair of new interviews, Apple CEO Tim Cook said his company will start manufacturing Mac computers in the United States next year. For years Apple has manufactured most of its products in Asia. Whether the shift to domestic production is a blip or the start of a trend remains to be seen. Rising labor costs in China have been making U.S. manufacturing more attractive in general in recent years. In the Businessweek interview, Cook also addressed the Apple Maps debacle and the exit of Scott Forstall, the senior vice president in charge of mobile software. On the maps he was blunt: “We screwed up,” he told Tyrangiel. But he insisted the move to bring maps in-house was a sincere attempt to make a better product, not just a strategic maneuver in a rivalry with Google. On Forstall he was long-winded and oblique, but his point was clear if you consider that he used the word “collaboration” seven times in his response. Some have chalked up Forstall’s ouster to squabbles over skeuomorphism, but Cook’s reply lends credence to the rumors that people just didn’t like working with the guy. NBC’s interview will air Thursday night at 10 p.m. on Rock Center with Brian Williams. A preview is here. 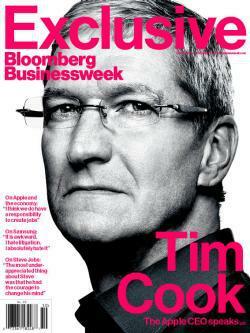 Businessweek’s interview is the cover story of an issue that will be on newsstands starting Friday. For now, it’s online here.